We knew right from start that rehydration – oral rehydration or intravenous hydration – would work. We knew that, so when Western companies were pushing to bring in their lab manufactured drugs, we were confused. ~ Dr. Mohammed Diallo. A so-called sharp decline in new Ebola cases in Liberia has become the new culprit for reasons ushered in by Western Pharmaceutical companies as new drug trials for Ebola are halted for lack of new patient registerations. 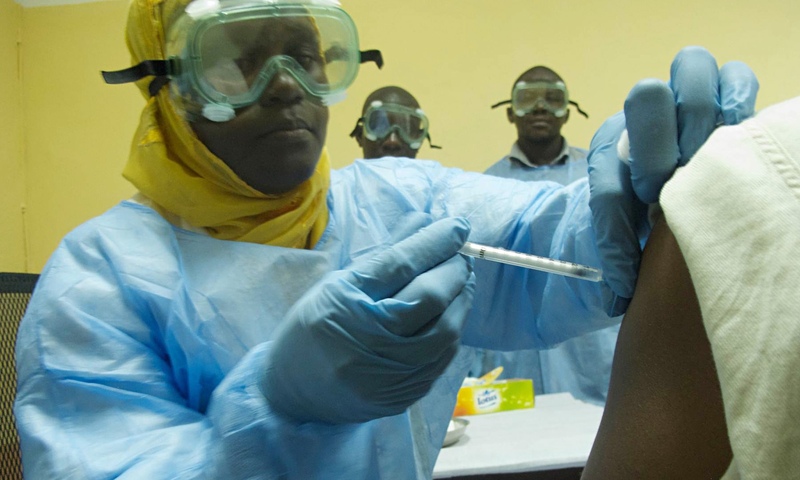 According to the New York Times and Co., the clinical trials have been halted because of a sharp decline in the number of people infected with the virus, and they also claim that other studies in West Africa are also facing problems finding patients. But the real reasons behind the lack of patients are being conveniently overlooked. It is in part true that the number of cases in Liberia have fallen following weeks of uncertainty about whether traditional African health practices – notably rehydration – were going to be put in place on ground zero and beyond. 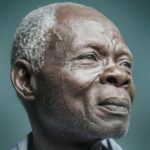 But is it similarly common lore that many patients and their relatives in West Africa are increasingly aware of unwholesome practices by Western Pharmaceutical Companies during clinical trials. Western companies have over the years become notorious for flaunting proper internationally recognized guidelines while conducting clinical trials in Africa. An important case in Nigeria involved the world’s biggest pharmaceutical company, Pfizer, which conducted a controversial drug trial involving children with meningitis in 1996, according to a leaked US embassy cable. Pfizer was sued by Nigeria, who claimed that her children were harmed by the antibiotic Trovan, during a trial, which took place in the middle of a meningitis epidemic of unprecedented scale in Kano, a northern state in Nigeria. Pfizer came to a tentative settlement with the Kano state government which was to cost it $75m. But a leaked cable suggested in 2009 that the US drug giant did not want to pay out to settle the two cases – one civil and one criminal – brought by the Nigerian federal government. This is but one example of the myriad missteps by western Pharmaceutical companies in Africa. There are deep reservations about the intentions behind clinical trials by companies from abroad. These misgivings are not unfounded as many Africans feel they have been used as guinea pigs for the production of drugs to serve other purposes than told. The idea of western clinical trials in Africa have become a touchy subject to many. In the case of Pfizer vs. Nigerian, while many thousands fell ill during the Kano epidemic, Pfizer’s doctors treated only 200 children, half with Trovan and half with the best meningitis drug used in the US at the time, ceftriaxone. Five children died on Trovan and six on ceftriaxone, which for the company was a good result. Nigerians were angry. Furthermore, much later Nigerian law enforcement discovered that Pfizer did not have proper consent from parents to use an experimental drug on their children and various malpractice questions over the documentation of the trial ensued. Trovan, a drug that had been withdrawn from the European market because of its liver toxicity was surreptitiously used on children in Nigeria. By token, it is no surprise that there exist absolutely no trust in West Africa and in Africa in general for Western Pharmaceutical companies and Research Universities based abroad in carrying out clinical trials in Africa. The distrust has carefully crept into our understanding of proposed Ebola trials. The worry has always been that patient rehydration procedures works and the insistence of western companies to conduct clinical trials for drugs that have nothing to do with Ebola has been thoroughly frowned upon. The malfeasance of Pfizer in Nigeria is still very fresh in African minds and in the case of Ebola trials, the feelings have been sustainable. West African patients do not want to enroll in the trails. Period. They do not trust western medicine. Period. They believe, for good reason, these companies and their so-called vaccines are up to no good. West Africans believe they should be left alone. Another trial involving the antiviral drug brincidofovir at a clinic in Monrovia, Liberia, by the developer, Chimerix, also announced late last Friday that it would no longer participate in the study. “Without having enough patients there to make any conclusions, it wasn’t feasible for us to push forward,” Dr. M. Michelle Berrey, chief executive of Chimerix, said in an interview Sunday. She said the company had shipped enough of the drug to Liberia for 140 patients, but that fewer than 10 had been treated since the trial started on Jan. 2. The World Health Organization reported last week that the number of new cases in the three most affected countries — Liberia, Guinea and Sierra Leone — had fallen below 100 a week for the first time since June. In Liberia, there were only four new cases in the seven days ending Jan. 25, the organization said. West African researchers said that, of course, the ebbing of the outbreak was a good problem to have. “It’s more important to end the outbreak than to get trials that we already don’t want done,” said Dr. Mohammed Diallo, a public health specialist, who joined the West African Health Professional committee to push for more stringent rehydration programs for the treatment of Ebola patients instead of relying on the chance that western manufactured drugs would amount to any good outcomes. “We knew right from start that rehydration – oral rehydration or intravenous hydration – would work. We knew that, so when Western companies were pushing to bring in their lab manufactured drugs, we were confused,” he continued. Doctors Without Borders treatment centers which are being used to study another antiviral drug Avigan and also blood plasma collected from Ebola survivors have raised eyebrows across the subregion. So far the clinic has only started with clinical trials involving Avigan, also known as favipiravir, which is a flu drug developed by Fujifilm of Japan. “The company has conveniently still not yet approached the real cure we West Africans are interested in besides the rehydration therapy we insist on – that of testing patients with plasma from recovered patients,” said Dr. Fanta Agolla, a physician based in the North of Guinea. Organizers of a different trial of survivors’ plasma that has started in Liberia are now looking for collaborators to expand the testing into Sierra Leone, said Dr. William A. Fischer II, an investigator in that study. He said that besides testing the plasma as a treatment, the effort was aimed at improving the capacity of the health systems in West Africa to conduct safe blood donations and transfusions. The falling number of patients due to the success of rehydration methods and the distrust in western Pharmaceutical companies and research institutions, could also affect other trials that are about to begin, for good measure, including those for two vaccines and for the drug ZMapp, health authorities have said. The Ebola outbreak has already sickened more than 22,000 people and has killed more than 8,800, according to the World Health Organization. It is possible that the outbreak could worsen again, as it did at least once before when experts thought it was ebbing. Chimerix, which is based in Durham, N.C., said in its announcement that it would not participate in future Ebola trials. “I think for now our plan is not to pursue clinical trials,” Dr. Berrey said. Dr. Berrey said the company, which has no drugs on the market, was small and had to concentrate its limited resources on finishing the trials needed to gain regulatory approval of brincidofovir to treat or prevent other types of viral diseases. She said the decision to stop the trial in Liberia was made after discussions with the Food and Drug Administration, Doctors Without Borders and investigators at the University of Oxford. Next articleNew York Times Editors, Stop The Racism Against Black Men! What a surprise — the West is at it again with trying to experiment on Africans with their faulty medicines. Geez what will those people not do for money? Does this ever end??? Thanks for letting us know about the good work that African health professionals are doing. Thanks again. Thanks for talking. These people have been killing us for far too long my brother – everyday trial here, trail there, trial here, trail there. Why? Only white people know how to cure a disease? Goodness. I am glad that someone is keeping track of those evil companies from the west. Not all people are made equal. Some are descended from God himself and others from mutations. I am happy I feel the presence of God and care about people. Others, like those companies that continue to roll in with havoc, God knows. One day.